There was great abundance at the wetlands last weekend. Top pic has 6 species of birds in it. 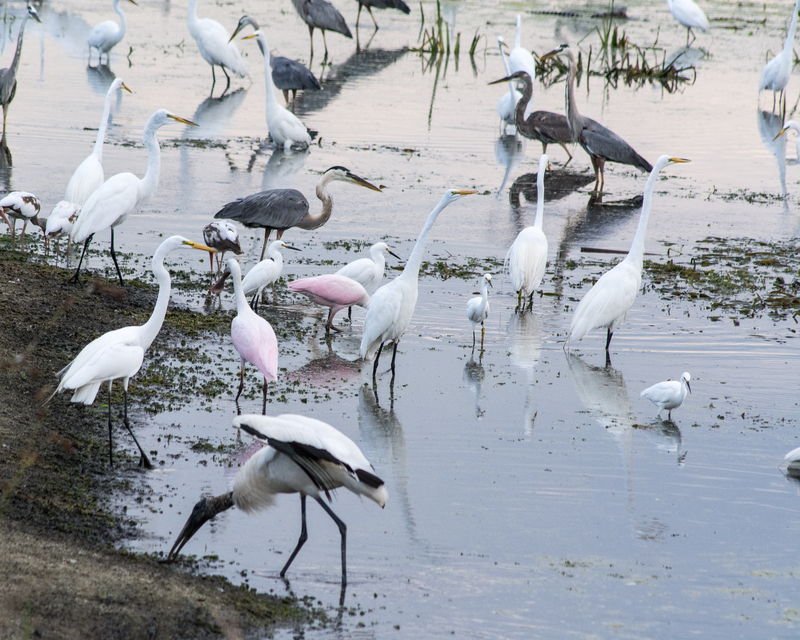 Great and Snowy Egret, Great Blue Heron, White Ibis, Roseate Spoonbill, and a Wood Stork. The last two are endangered. Obviously an abundance of fish. 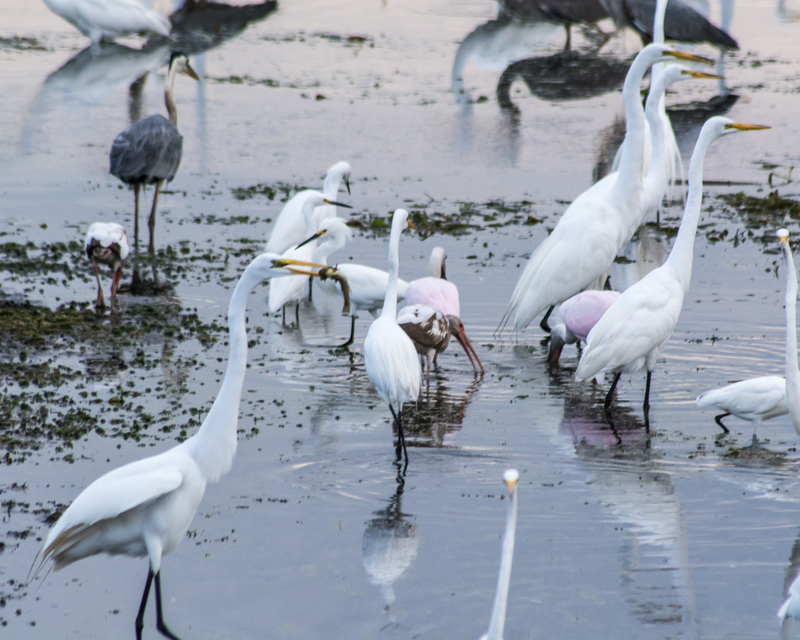 See Great Egret in the second picture with one in his mouth! So except for the alligator fight – which was epic, there was only some minor squabbling if some of the birds got too close to each other. I’ll also have an abundance of pictures – expect more. Thanks. Yes it was an amazing morning.